West Michigan Carpet Center does not only offer you solutions for your flooring, we also offer a wide range of window treatments to turn any space into a work of art. 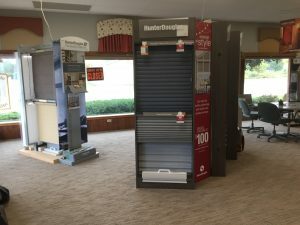 While floor coverings are the foundation, windows form the central focus of your home and by choosing the right shutters or blinds, you can create the perfect lighting for your space. One of our sales team professionals will guide you through the process and help you choose the perfect window treatment for your home. West Michigan Carpet Center offers premium carpet binding for any type of carpet or area rug. Binding is the ideal way to achieve neat, straight edges for runners, carpets and area rugs. There is a variety of finishing options to choose from that will suit any color and design. 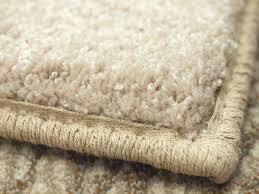 Our method of binding resembles serging, however, if you opt for genuine serging, we will send the carpet off-site. Onsite binding usually takes about one week to schedule and complete. Using the correct cleaning products for your floors plays a crucial part in ensuring that they last for many years to come. Many common floor cleaning brands contain harmful chemicals that could cause damage to your newly installed floors. 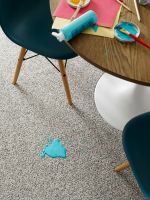 West Michigan Carpet Center stocks specialized cleaning products which are specifically formulated to clean your floors without causing any damage such as swelling, warping or lifting. 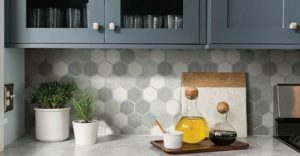 If you are looking to revamp your kitchen and wanting durable and affordable countertops, West Michigan Carpet Center has you covered. We offer quartz, Corian, and laminate countertops in various finishes and textures to suit any kitchen and design. From breakfast counters to stand alone islands, we have the perfect countertop for you. Michigan Carpet Center proudly stock Cambria, LG, Corian and Corian Quartz countertops. If your hardwood floors are looking a bit worse for wear, West Michigan Carpet Center also offers hardwood restoration services. Refurbishing a hardwood floor can transform any room from worn out to refreshed in a flash. 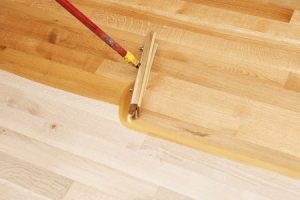 We recommend sanding and refinishing a wooden floor at least every 10 years depending on the finish of the original wood. Visit our showroom and speak to one of our friendly staff for a consultation today.